The great thing is that they are deliciously refreshing, the perfect amount of sweet and tart and only require 3-4 ingredients! Measurements will vary depending on how many strawberries you plan to dip in the chocolate, how many layers and/or how thick you want the chocolate so I’ll just tell you the basic ingredients and the easiest way I’ve found to melt the chocolate mix. Start with washing your strawberries thoroughly. You can opt to leave the green on top or cut it off – I’ve done it both ways and think that the green kind of adds a nice touch (plus it’s easier to hold onto while you dip the strawberries in the chocolate). 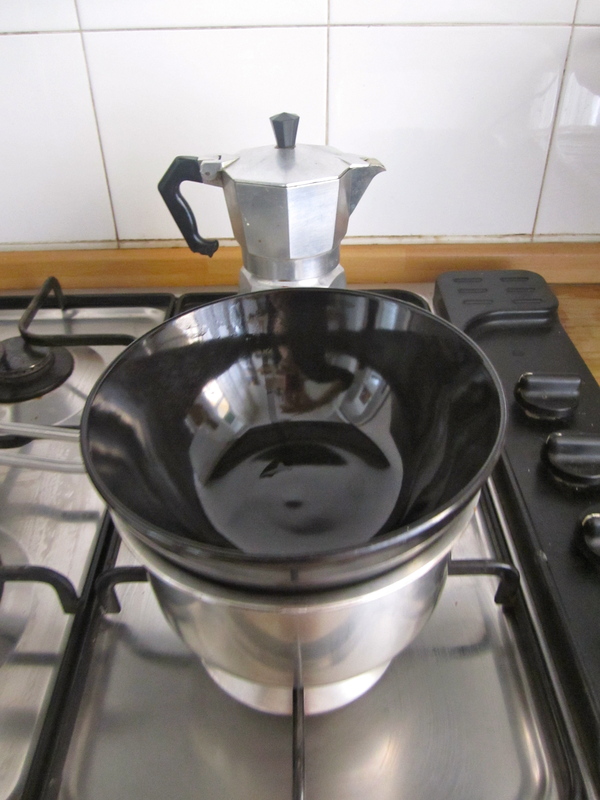 Place a small pot with water on the stove , and a bowl on top. Add your chocolate chips and butter (and a little milk if you like) and start to boil the water beneath the bowl. 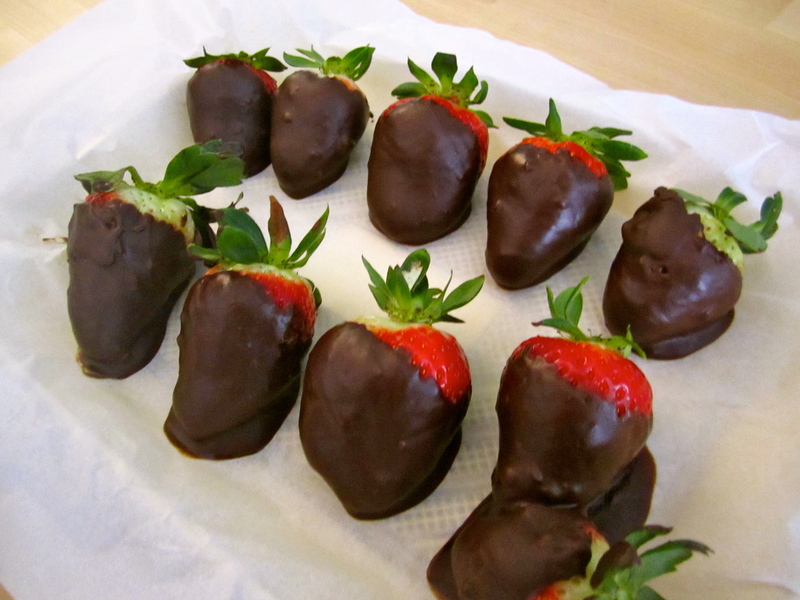 The steam will melt the chocolate and butter into a nice creamy texture that you can then dip the strawberries into. I’ve found that this is the easiest way to melt the chocolate and butter so that the chocolate doesn’t start to burn on the bottom of the pot if you melt it directly on the stove. It looks delicious but it always an art to make it…everybody cannot.